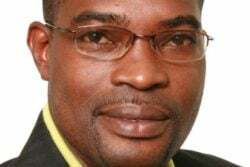 Elated that his years of contribution to the arts in Guyana have resulted in national recognition, illustrator and graphic artist Barrington Braithwaite is continuing to press for proper legislation for the industry so that artists can benefit. Last month on the occasion of Guyana’s 50th Independence anniversary, it was announced by President David Granger that Braithwaite and several others would be receiving National Awards for their long and dedicated service over the years. Braithwaite was awarded the Medal of Service (MS) for his long and outstanding contributions in the arts, especially as an illustrator and folklorist. The MS is the fifth highest award of the Order of Service of Guyana. It is awarded for ten years of dedicated public service, local government service, service to industry, service to trade unions or other areas of service to the community. “Lots of us are doing art out there and we don’t do it to get an award but this kind of helps. It helps to make us feel more confident that okay, there is a great vacuum but beyond the vacuum, there is some tower with people who are looking beyond the vacuum at what you are doing,” Braithwaite said in a recent interview with Stabroek News. He is grateful for the award but pointed out that it does not necessarily translate to concrete opportunities. “An award by the state is one thing. That award is visible by me but is it visible to my bankers, to the people I am doing business with? What does it mean? Does it translate to the bureaucrats in the ministries whom you might be trying to get some kind of support from?” he questioned. A fascination for comic books sparked Braithwaite’s interest in the arts. “I was inspired by a local guy who did comic books when I was a youngster, Rudy Seymour. Those guys were doing things in the newspaper, guys like Tyrone Doris, and while in school I started drawing. I was drawing comic books for all my friends in school,” he said. This experience eventually led to him releasing his first publication in 1981. It was stingingly criticised by his friends for the art work. “My first publication was in 1981. That was something called ‘The Shrouded Legacy.’ It was published in the Chronicle. At that time, Frank Campbell was the man in charge. The joke about that was it was a first done and the art was horrible. I didn’t understand lettering techniques. We didn’t have computers back then so you had to hand letter and bubbles and stuff. We weren’t getting templates,” he recounted. “My peers—many of them were better artists than me at the time—they tore me to pieces. I was glad when that thing was over but I retaliated. I bought books on anatomy and I started studying the human body,” he recalled. According to Braithwaite, art is not something that you choose. “This you have to understand. Art is not a choice, it chooses you… The thing with talent is that it compels you. You can’t send a child to learn to draw or learn to write. Most of the people who have written great books they were not schooled,” he observed. It is for this very reason that Braithwaite considers himself to be a self-taught artist. 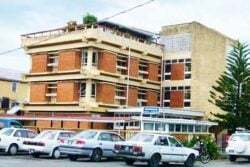 He said he did not see the need to attend the Burrowes School of Art, Guyana’s first art institution, since he felt they could not teach him what he needed to learn. “I said I can learn rudimentary cause I already was painting and selling. So I thought I just needed to buy textbooks and those sorts of things,” he recounted. Wanting to learn the business of art from an early age, Braithwaite recalled that he began reading about copyright cases and buying second-hand books. “We had a thriving second-hand book business in this country by Bourda Market and big [Stabroek] Market…So I wanted to know what it was all about. I didn’t understand it. So basically I was forced to learn those things on my own,” he related. The illustrator has worked on a number of projects in the last 20 years including Legend of the Silk Cotton Tree and Shadow of the Jaguar. 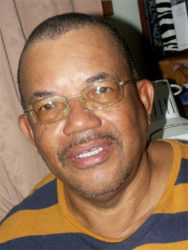 The former went on to be Guyana’s signal dramatic performance during the tenth Caribbean Festival of Arts (CARIFESTA). How-ever, it was the latter that left him feeling the most elated. It was a comic but subsequently was performed on stage in 1992 at the National Cultural Centre. “Norman Beaton, the actor from the show ‘Desmond’s’ came home to act in the Jaguar in 1992. … I felt great,” Braithwaite said. “He decided that this was what he wanted to do on stage. Earl Warner, the late Barbadian director decided that he wanted to come to Guyana and direct it,” he added. 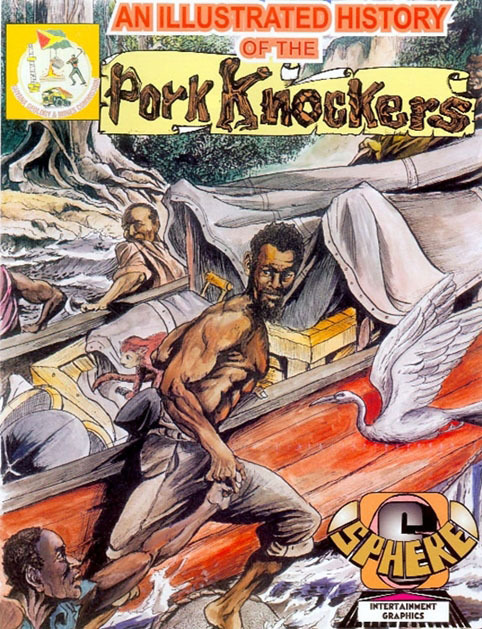 Braithwaite recalled that the comic the project was based on, was criticised heavily before. 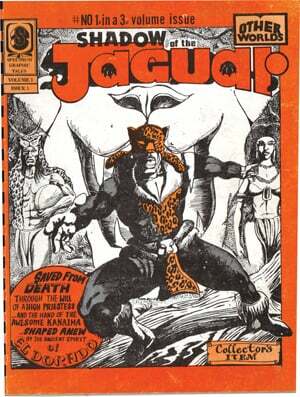 “There was a Guyanese cultural clique that decided that graphics and comic books were not culture. I was like ‘God, I am doing something right!’ I was lashed for the Jaguar… I had a Rastafarian in the book. Nobody read the book, they saw the Rastafarian. I maintained that this guy didn’t smoke marijuana. He wore locks because it linked him to an ancient African culture,” he recounted. “They didn’t read it but they had everything to say about it. When Norman Beaton came, it eventually won an award. I couldn’t believe it that now, the same thing that was criticised, won an award,” he related. Braithwaite has since upgraded and copyrighted the Jaguar. While many may think that the work involved in putting graphics together is something that can be easily done, Braithwaite said it is something that takes a while to master. “Graphics is not writing a novel. It is visual…I just did Anansi and it took me years to get the right design for houses…to get what women wear, what men wear because these prints have variables,” he said. For Braithwaite, a career in the arts is something he would definitely do all over again. “Most of the people who I have known, have been forced to become accountants and this and the other and they have turned to alcohol in frustration and I eke out a living and I have been able to pay my bills, so it is worth it for me. It hasn’t made me rich yet, but it is worth it. I would do it all over again,” he insisted. However, he lamented the lack of state policy and the poor legislation that currently exists regarding the arts. “… We don’t get a half a billion dollars voted for the development of the arts. We don’t get that. We got $9 billion going to sugar and rice producers. If for a period they don’t make money, they want government to help them,” he said. “Most people if they call a plumber, they put aside money for an advance. They call an electrician, they put aside money for an advance. They call an artist, they say ‘man ah want ya do a lil thing here.’ He must do a lil thing. We are the only category in this country expected to do a lil thing free,” he said. “You don’t get anything. There is no state policy or consideration that [says] ‘listen, artists are doing this let’s throw some subvention to them,’” Braithwaite added. The illustrator said that while a cultural policy is currently being formulated by the government, legis-lation has to be created. “…How that will impact on the bureaucratic mind set will require nothing less than re-education,” he declared. And though he is not the first artist to receive such an award and surely would not be the last, Braithwaite advises up and coming artists to keep doing what they are doing. “Try to understand the ramifications of what you are doing, including copyright… An artist needs to read. You have to have an extensive library. The unfortunate thing is most of them have not gone through the evolution I have gone through,” he said.